Konami has announced that two DLC packs for Castlevania: Lords of Shadow, featuring new locations, monsters and more, will be released early next year. The first DLC update, Reverie, will send players back to the castle to help Laura, the former servant of the vampire Carmilla, destroy the evil force that had been kept under control by the Queen until she was slain. That sentence will probably make more sense to those of you who have actually played Castlevania: Lords of Shadow than to those who have not. In his October review, The Escapist's John Funk found Castlevania: Lords of Shadow to be "fun and a solid fifteen-twenty hours of well-done action," but said it never quite achieves greatness. Maybe the new DLC packs will help smooth those rough edges; adding some castles and vampires into a game about castles and vampires certainly can't hurt. 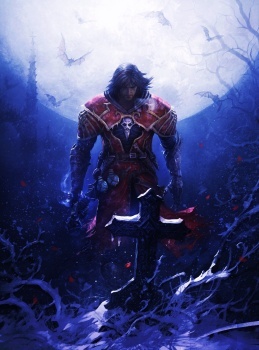 Castlevania: Lords of Shadow Reverie and Resurrection are expected to be released in early 2011.